Nominated for 9 broadwayworld.com awards!! as part of Angelwalk Theatre's fourth season! 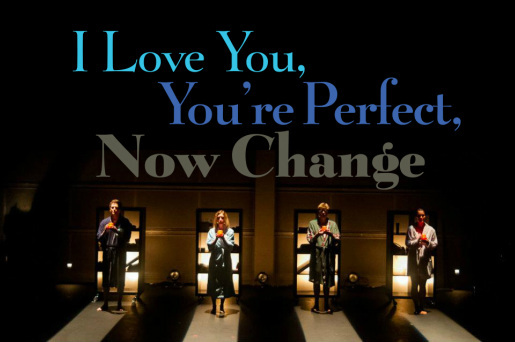 I LOVE YOU, YOU’RE PERFECT, NOW CHANGE is the second-longest running musical in Off-Broadway history, running for 12 years and 5003 performances Off-Broadway. It is presented in the form of a series of vignettes connected by the central theme of love and relationships. The show is everything you have ever secretly thought about dating, romance, marriage, lovers, husbands, wives and in-laws, but were afraid to admit.